Coqui the Chef: What is that on MyPlate vs. Healthy Eating Plate? A few months ago, I was interviewed about the U.S. Department of Agriculture's "MyPlate" brand new nutrition symbol for healthier eating. 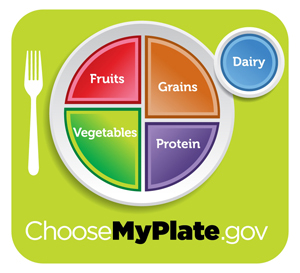 MyPlate is a new guide created for basic nutrition, which replaced the outdated and misguided food pyramid. 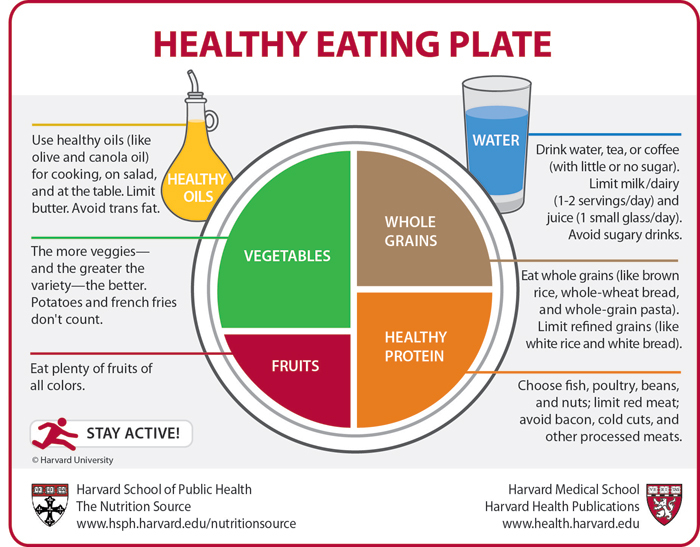 What is really interesting is how the nutrition experts at Harvard School of Public Health (HSPH) in conjunction with colleagues at Harvard Health Publications unveiled their version of the basic nutrition symbol called "Healthy Eating Plate", a visual guide that provides a blueprint for eating a healthy meal. Finally a nutrition guide that points out the types of food our body needs to be healthy. They even add "Stay Active" to the the guide. Finally someone speaking my language. Raffle!! Support "Coqui the Chef's Project...Eat and Drink Healthy" and you could win Coqui the Chef's pilón! 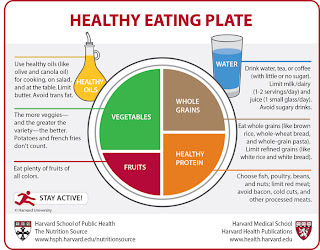 I agree with/and prefer the Healthy Eating Plate over "my plate". I too agree that dairy should be limited. Not just for the fat content, but for the amount of hormones that today's dairy cows are being injected with. Additionally, 1% and skim milk have sugar added to make up for the loss of taste due to the amount of fat content removed. I've also tried to ween myself off of most meat products (which is hard) and have been finding alternate sources for protein such as soybeans, quinoa, etc. And of course the mighty mighty dark greens. Thank you coqui for all of your informative insights. I've said it before that we as a people who are already predisposed to heart disease and diabetes need to take better care of ourselves. It can be hard to break away from old school traditions. Fried chuletas, pernil, tostones (my favorite) are good in moderation, but we have to take a more active role in our health.